Sewing has never been one of my strongest skills, but I am always wanting and willing to learn more. 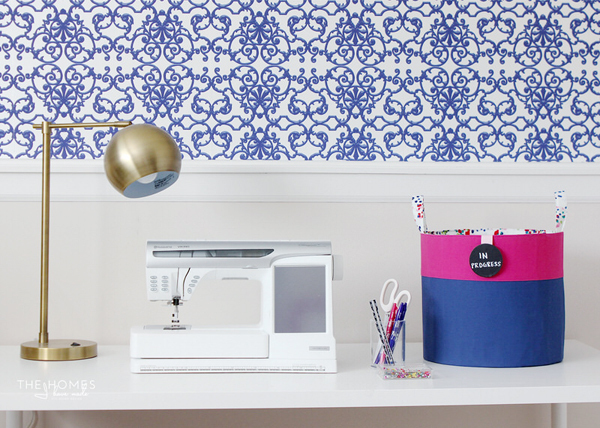 I have sewed basic curtain panels and attempted a few pillow covers, but what I would really love to learn is how to make organizational supplies. 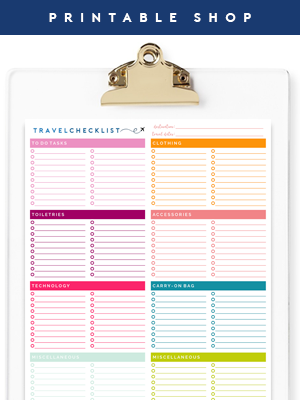 You all know I love custom organizers far more than anything I could purchase off of the shelf; it is wonderful when you can select your exact size, shape and even colors/patterns for your storage. So while I am not at a point with my sewing skills to be sharing detailed tutorials on whipping up an amazing organizer, I do have some very skilled contributors to help me out! 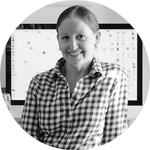 #love With that, today I am thrilled welcome Megan back, as she is bringing us a fantastic tote making tutorial. 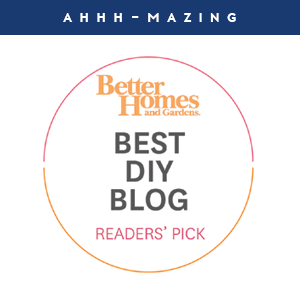 She blogs at The Homes I Have Made, where she details her quest in turning rentals into colorful and functional homes. Although she is a pro at the sewing machine, her skills do not end there. She does it all folks, and it is so much fun to follow along! 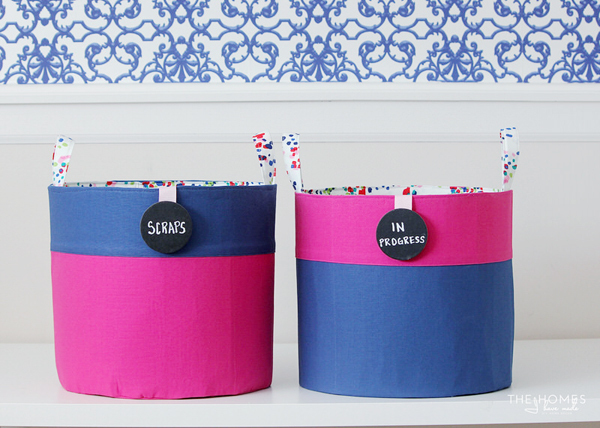 When it comes to an organized home, you really can’t have too many bins, baskets, totes, and containers to corral everything! Am I right? 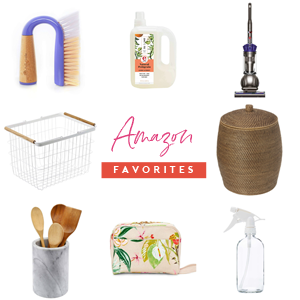 I constantly have my eyes peeled for quality, affordable, and good-looking baskets, but there are times when the right size, look, colors, or design for a particular space or shelf just aren’t available! While certainly not the quickest (or even cheapest!) 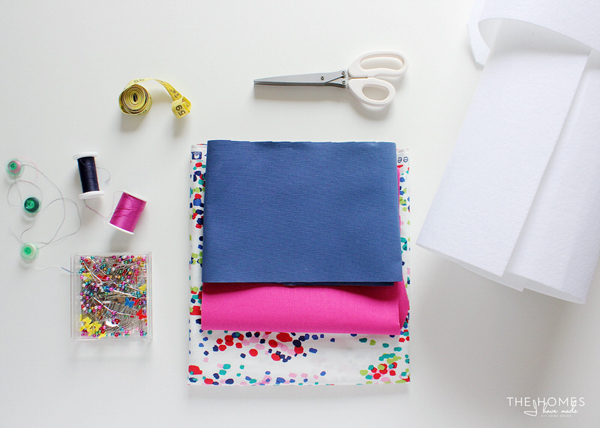 route, did you know you can DIY your own canvas totes? 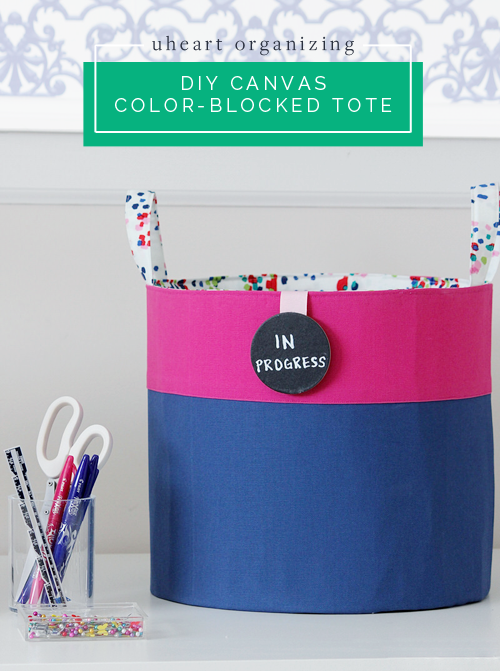 Not only do you get to pick all the colors, sizes and other details, DIY totes are a fun (and functional) project to add to your To-Do List! In my office/craft space, I always have several projects going at one time. 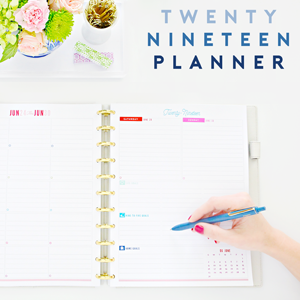 #lifeofablogger And all too often, I can’t find any clear space to work because projects are spread out all over. I don’t want to put current projects away out of fear that I’ll forget about them or lose pieces, but I was desperate for a way to quickly and easily keep my work surfaces clear so I could actually get some work done. 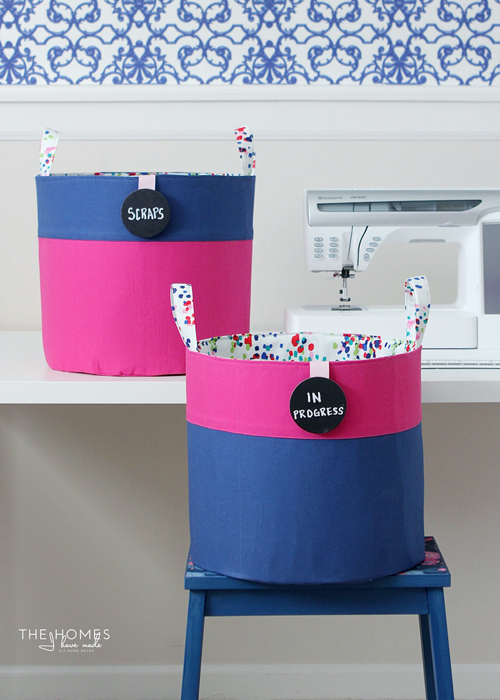 Since baskets are my #1 way for keeping our home tidy, I thought I’d make a few canvas totes that were pretty enough to keep out all the time! 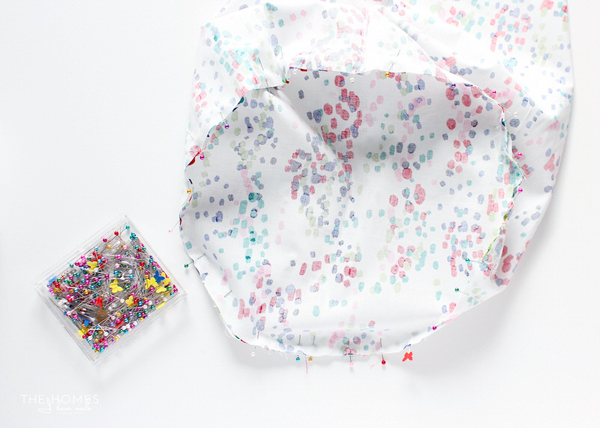 These totes are large, sturdy, and lined with the cutest splatter fabric. 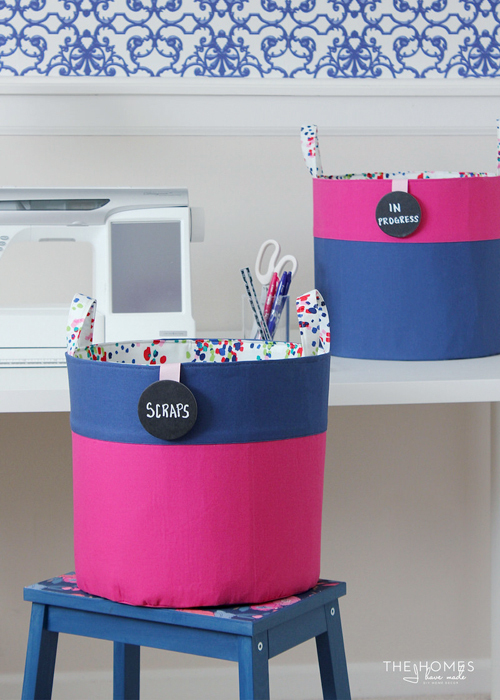 With the addition of simple chalkboard labels, they are now some of my favorite baskets in our home and are working wonders for keeping my workspace clear! 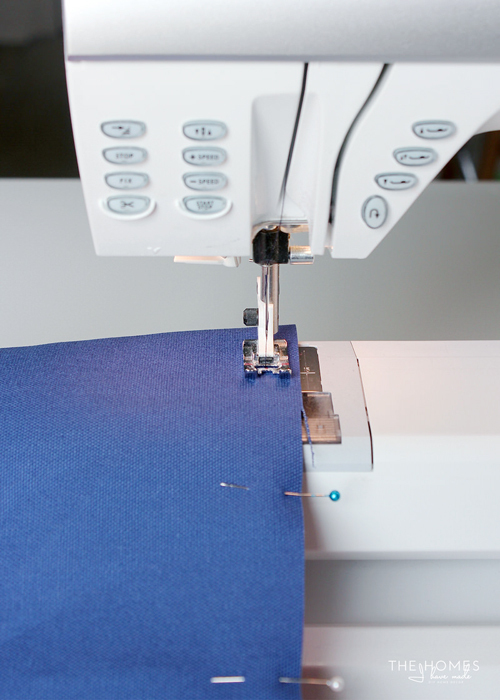 TIP: Peltex comes in both a single-sided fusible version (71F) and a double-sided fusible version (72F). I experimented with both; and while both do work great, I actually found the single-sided easier to work with. 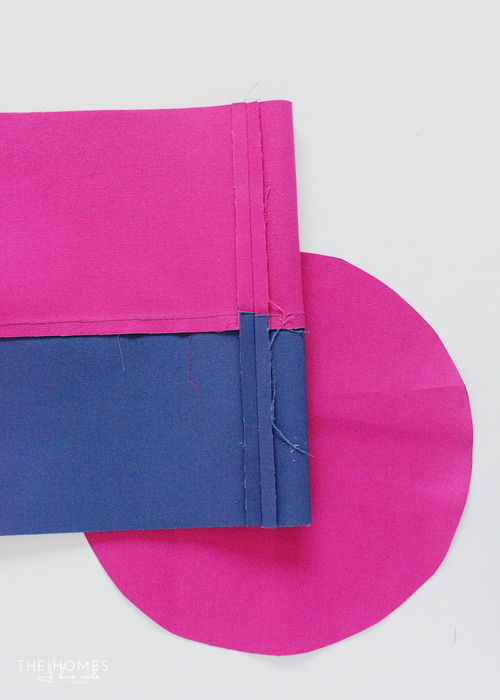 However, if you want your lining to be as tight and smooth as the outside shell, use the double-sided version. Either way, Peltex can be pricey for the amount you need, so use coupons and watch sales to keep this project affordable! Start by determining the shape and size of your totes. Because you are making them from scratch, you can pick any width, height, depth and shape you like! If you have certain shelves or cubbies you need your tote(s) to fit, take those dimensions into consideration as well. I chose to make my totes about 12” wide and 12” tall. 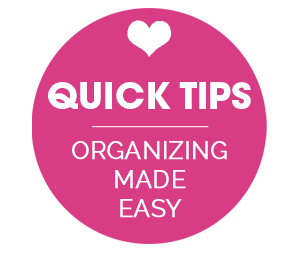 TIP: You can make your totes round, square or rectangles! If you are a new or novice sewer, the round shape is a bit easier since you don’t have to work around corners! 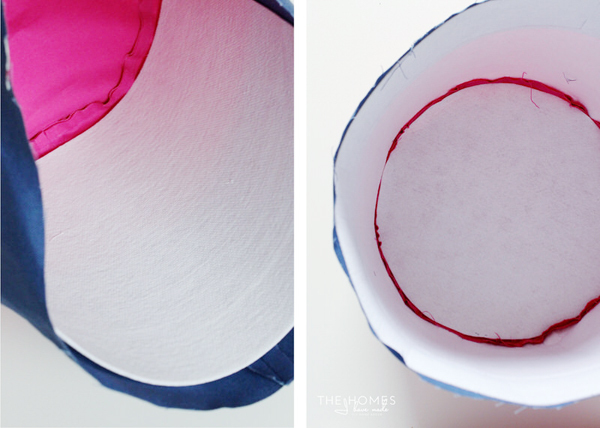 For this tutorial, I will show how to make a round tote, but the same steps can be followed to make any shape! 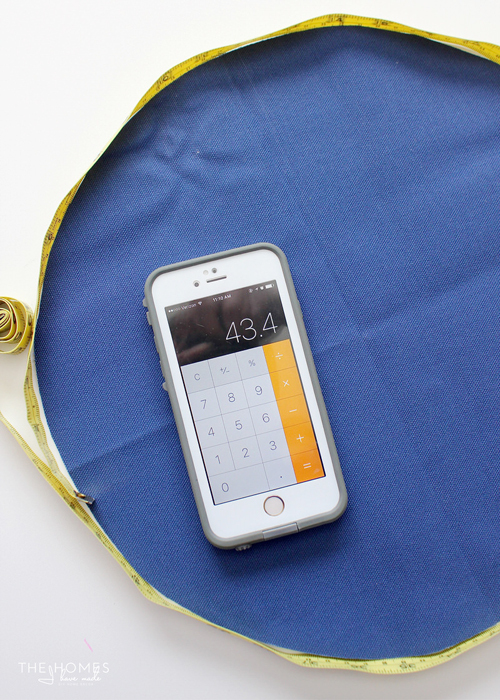 The circumference of your base + 1” will give you the length of your strips, but the height is determined by how tall you want your tote. I wanted my finished tote to be 12”, so I needed 13” tall strips. 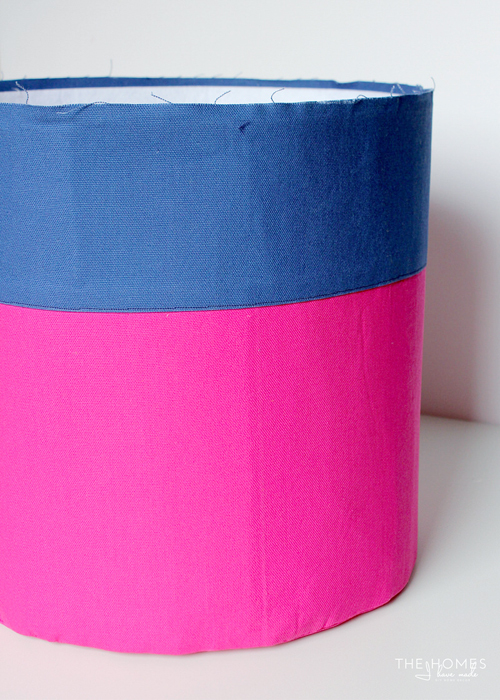 However, I also wanted to color block the sides, so I cut two strips both with a 1” seam allowance. My strips ultimately measured 45” x 9 (which resulted in an 8” tall strip once sewn) and 45” x 5” (which resulted in a 4” tall strip once sewn). You will repeat the cuts on your lining fabric. 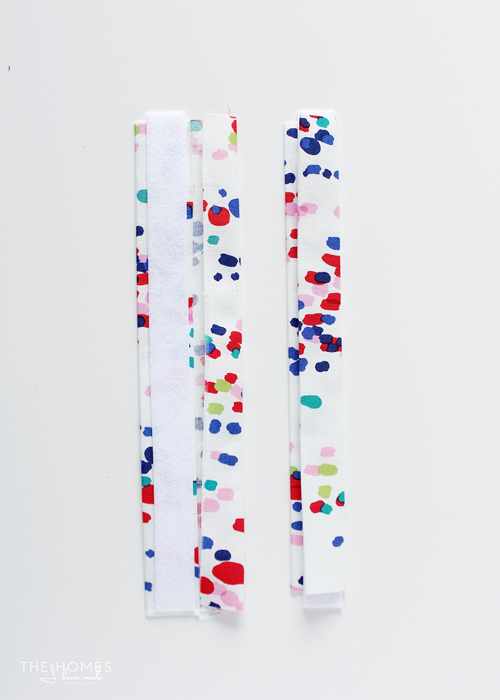 Since you are not going to color-block the lining fabric, cut the side strips in one single piece. Next, cut the Peltex to go in between the two layers. You can cut the stabilizer to your final dimensions since it won’t be sewn into your seam allowance. For example, my pieces were cut to a 12” circle (no seam allowance) and a 42” x 12” rectangle. TIP: Use your canvas base piece as a pattern for the Peltex piece. Just be sure to shrink it down by ½” on all sides! Finally, cut 2 rectangles, each measuring 4" x 10” out of whichever fabric you want. Also cut 2 ¾” x 10” strips from the Peltex. These will be for the handles. With everything cut out, it’s time to sew it together! Start by layering your top side strip onto the bottom side strip right sides together, aligning the edges and pinning in place. 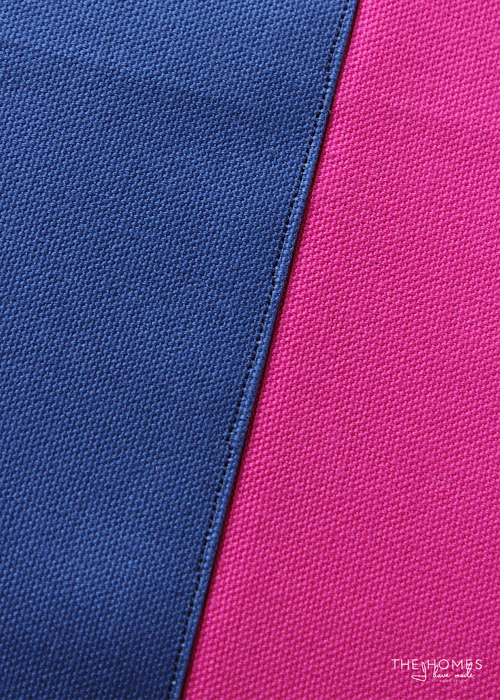 Using a ½” seam allowance, sew the two side strips together. 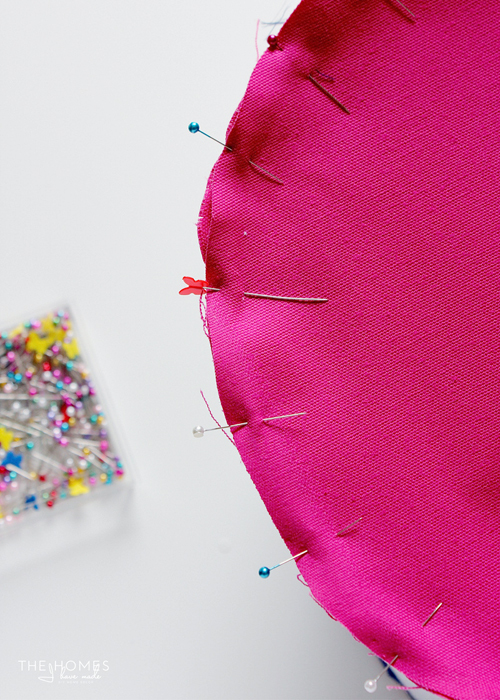 In my experience, there are two tricks for making DIY sewing projects look professional: ironing and top-stitching! 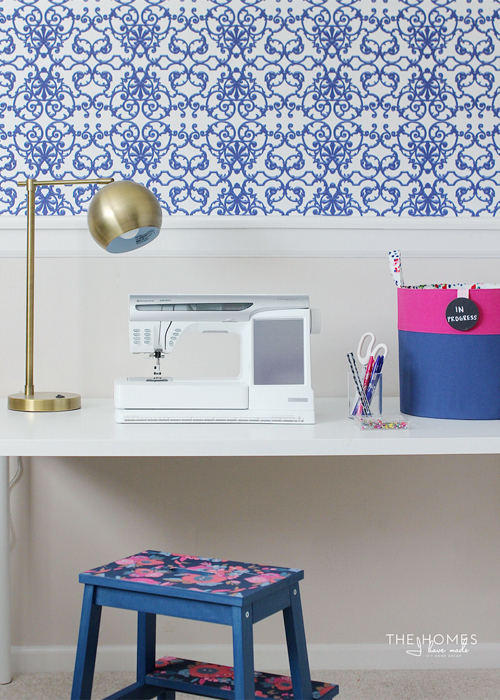 Both of these steps are easy and quick, but really take your project up a notch! Start by ironing the seam you just sewed. You can split the seam allowance open or press it to one side. Flip the fabric strip over so the right side is up, and press it flat and smooth. With the right side up, run the strip through your machine once more, stitching just 1/8” from the ironed seam. Be sure to use matching thread! 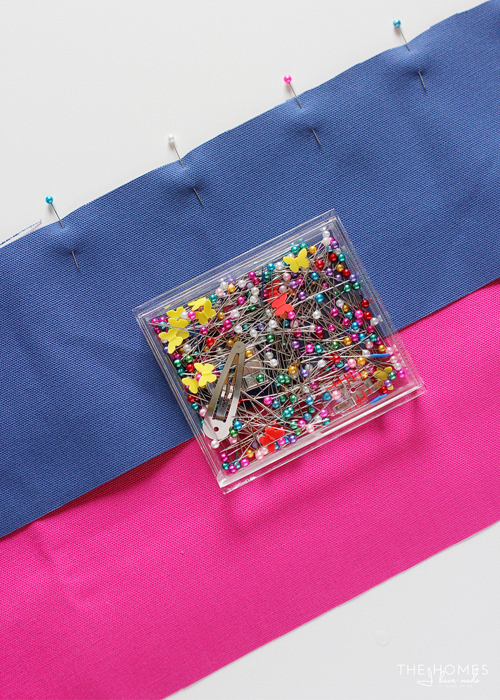 Here is what an ironed, top-stitched seam will look like when you’re done! If you haven’t yet cut your strips down to the right length to fit around your circle base, this is a good time to do it. Then, with right sides together, sew the two short ends together with a ½” seam allowance and press open. 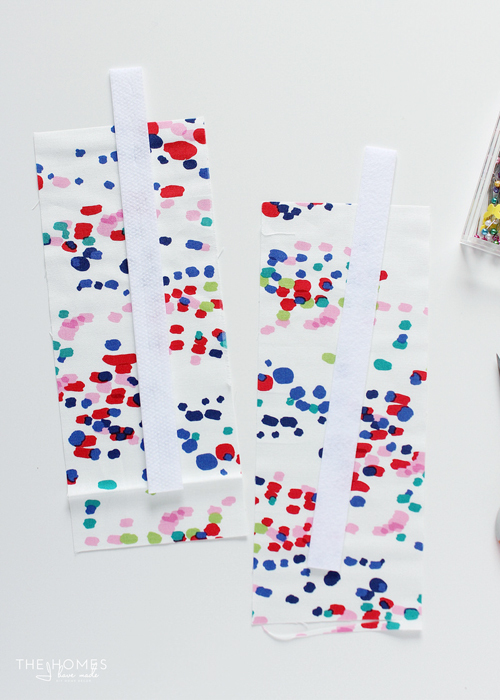 You should now have a color-blocked strip sewn into a circle and your canvas base ready to be sewn together. 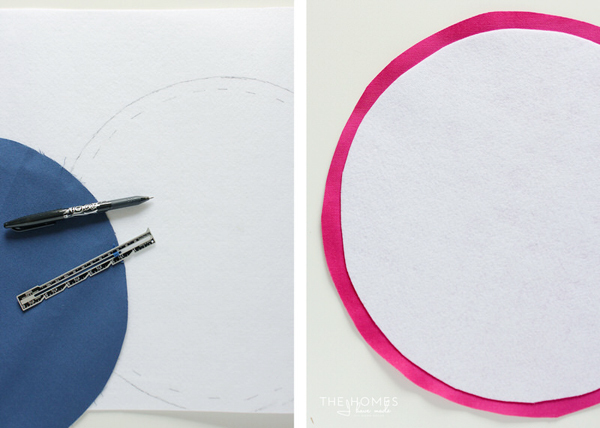 With right sides together carefully pin the side strip all the way around the base of the circle. Use as many pins as you need to in order to get the strip and the base to lay completely flat. Again, using a ½” seam allowance, sew the side to the base. Then, flip the tote right side out and top stitch the base (optional). So… it’s time to add your extra-firm stabilizer! 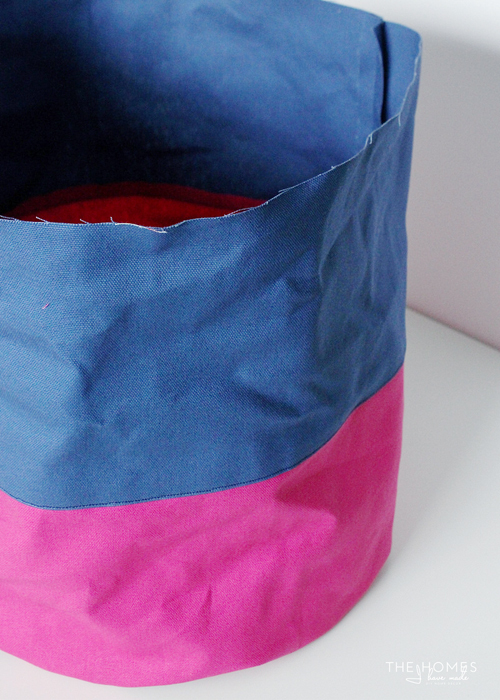 Start by fitting the stabilizer to the inside of your tote; trim down any excess to ensure it fits nicely all the way around and still leaves about ½” of fabric at the top. You can also place the Peltex circle into the base. I found I had a bit more control with the single-sided fusible Peltex, but if you want to use the double-sided, add the lining before you iron everything in place. Whichever version you use, follow package instructions to fuse the stabilizer to your tote, taking extra care to smooth out any and all wrinkles! Here is my tote with the outside complete and the stabilizer added. Note there is about ½” of fabric peeking out over the stabilizer at the top. 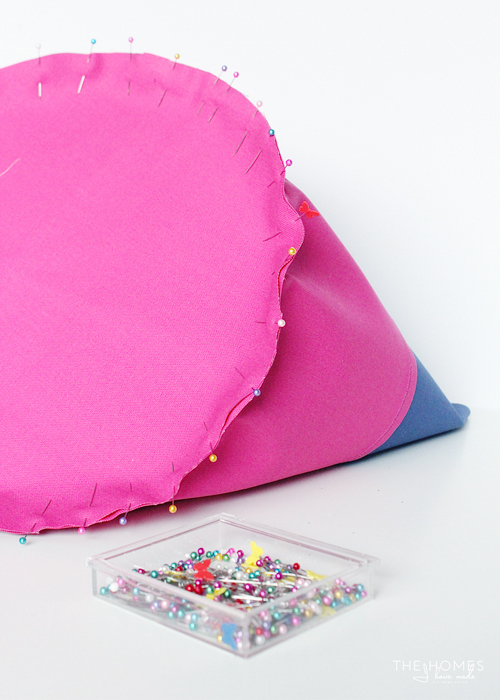 Next, sew your lining together exactly as you did the outside shell. 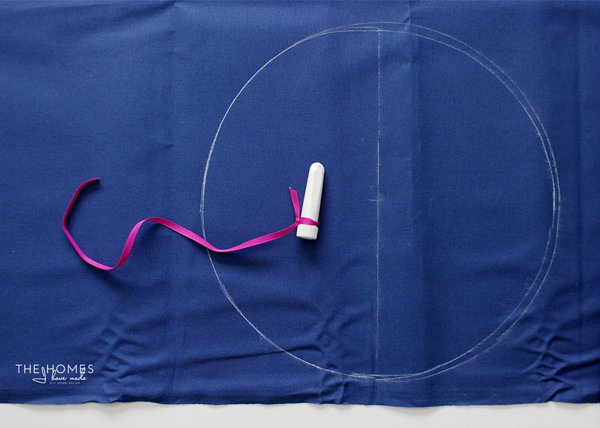 Sew the two short ends together to make a continuous circle. Then with right sides together, sew the side strip to the base. 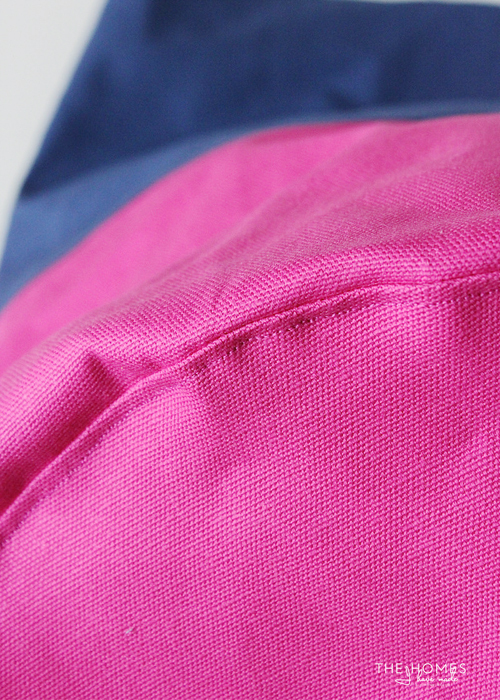 Before you can sew in the lining, you have to make the handles! 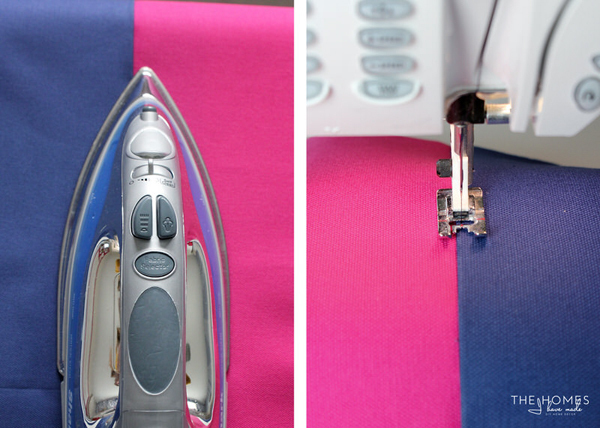 Place your small fabric rectangles wrong side up on an ironing board. 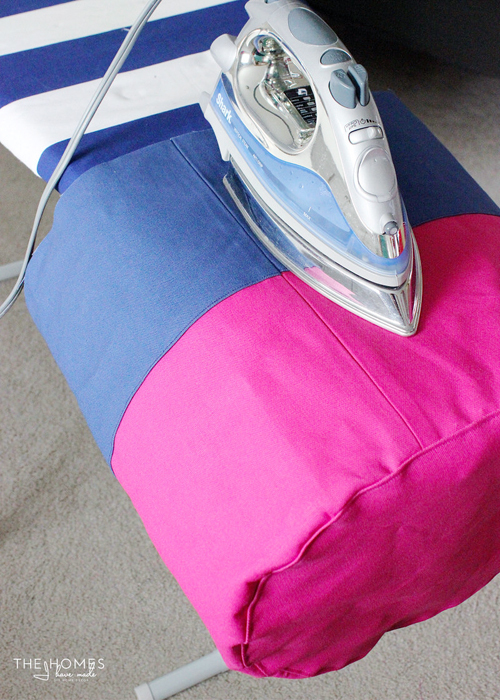 Using a hot iron, fold over each long side so that it meets in the middle and set with an iron. 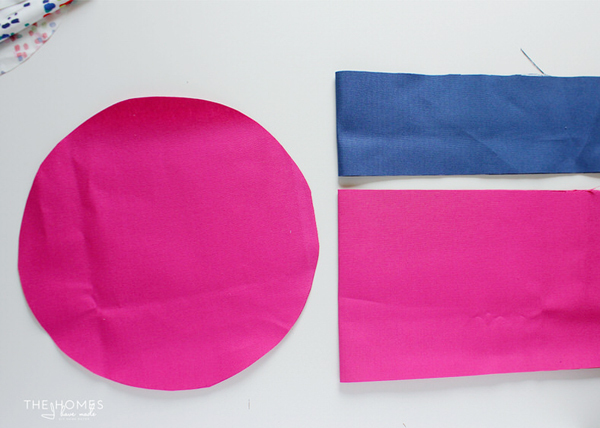 Place the Peltex strip on one side of the rectangle and then fold the entire rectangle in half (over the Peltex). Top stitch down both sides of the handle pieces as close to the edge as you can to secure the two sides together and the Peltex in between. 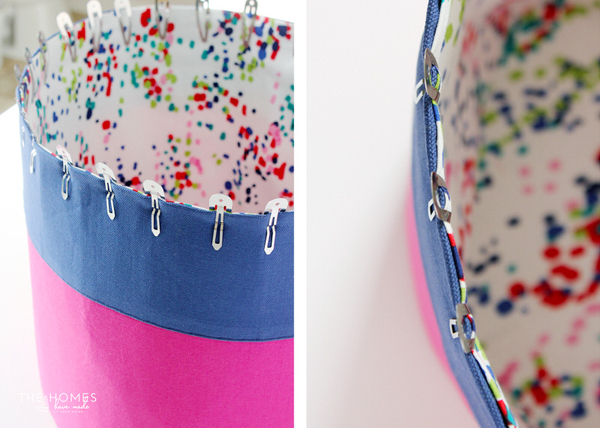 It’s finally time to assemble your tote! 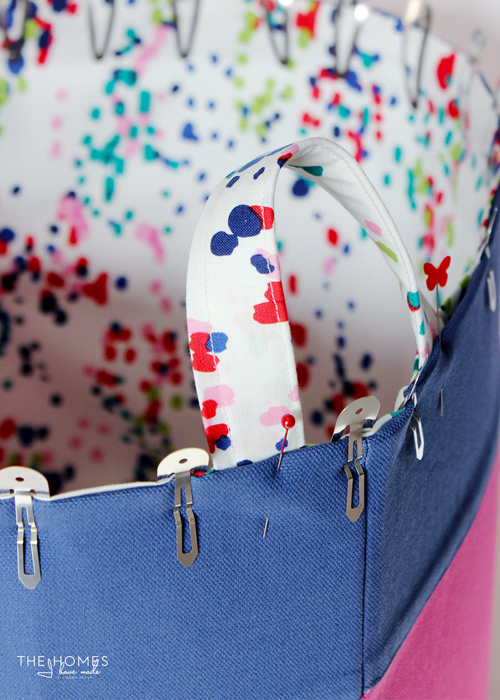 Slide your lining right side in into the canvas tote (which should be right side out). 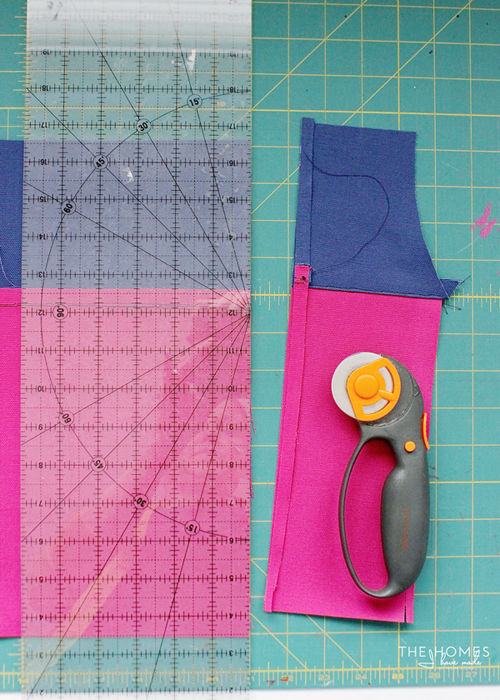 Fold under both the canvas and lining fabrics along the time 1/2 “ and set with an iron. Pin or clip the edges in place. Before sewing the final top seam shut, slide your handles in between the lining and the outside shell and secure with a pin. Ensure they are completely opposite from each other across the tote and are the same height. 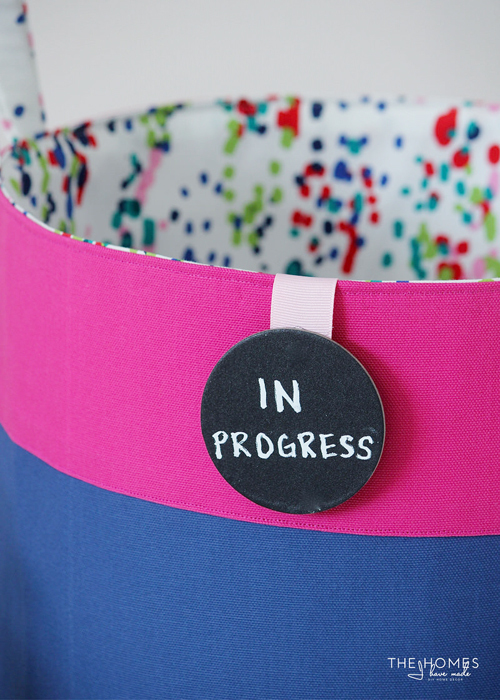 The final step is to top stitch around the top of the tote to secure the lining and canvas in place! 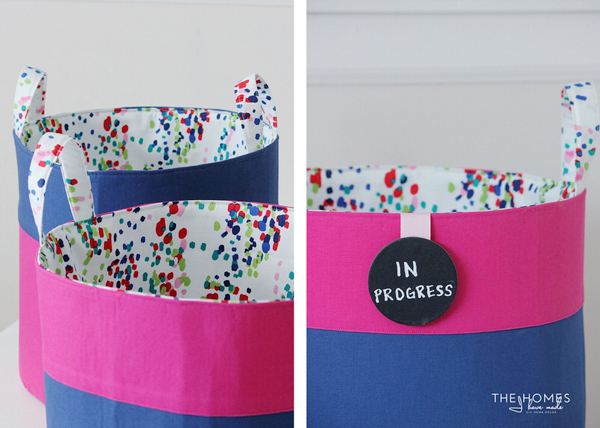 Add a label and your tote is ready for use! TIP: I didn’t want to put holes into my pretty new totes, so I secured my labels with magnets! 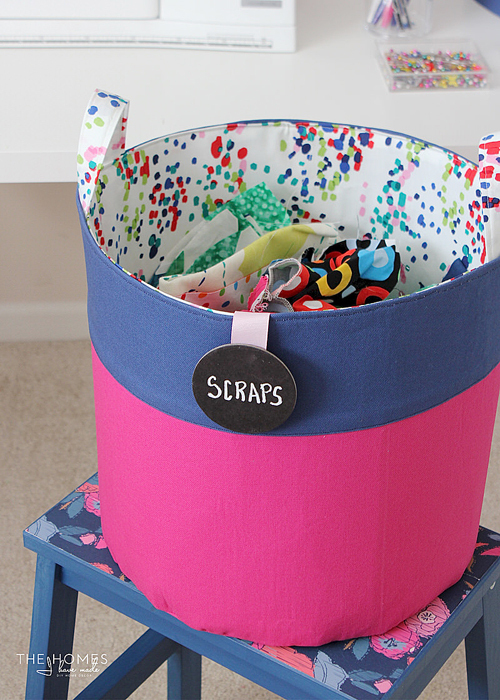 There are indeed so many great bins, baskets and totes available in stores these days, but I just love being able to use up some of my pretty fabrics to make baskets according to my own specifications and that match my home perfectly! If you buy your fabric on sale and use coupons, each of these totes will run you about $10-$15/ plus about an hour of time! Not too bad for a perfectly customized and uber functional storage solution! Thank you so much to Jen for letting me stop by today and for giving me an excuse to play with some pretty fabrics! I hope you guys are having a great Spring and will pop over to say hi on The Homes I Have Made! See you guys next time! These are so cute! 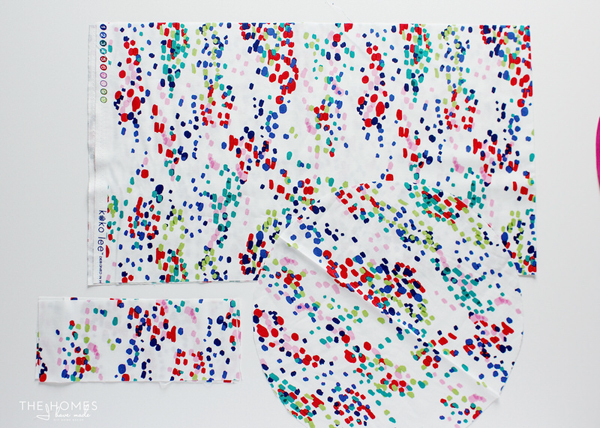 I love the pattern on the interior fabric, it is so fun! Sewing is definitely a skill I would like to work on. These are so cute! They'd make great toy bins! Your use of hair clips is genius!! I need some specific size containers for a funny shaped shelf, I think I can make these work! Thanks for the tutorial! OMG - Those clips! 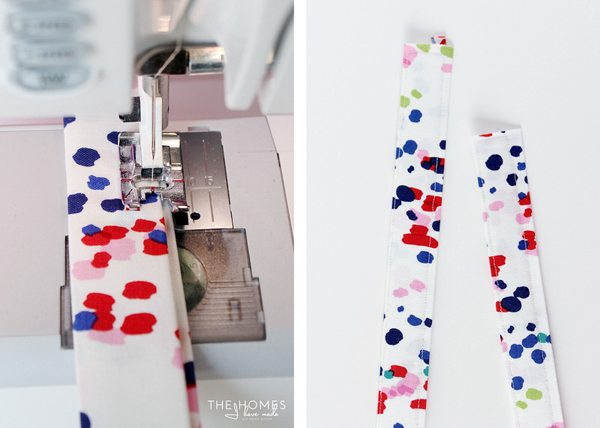 I have been sewing forever and have always used bobby pins or paper clips...but those clips are giving me ideas! I have a whole container of clips my daughter no longer uses... Thank you! These look amazing and I am contemplating giving them a go. My sewing is so bad...I can never keep the stitching in a line, but this is worth trying for the end result. Thank you for the tutorial. Wow what a really great project. I love the colors and the fabric on the inside. How gorgeous!